The fictional and not so fictional understanding Living Metal. 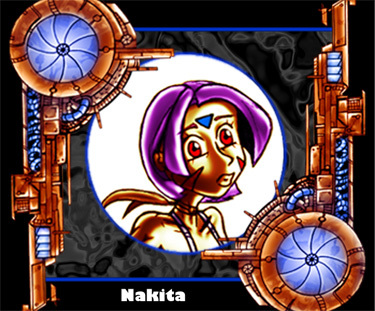 She is the first to have awaken of her kind and finds out that the world that she once knew is gone, She is a soldier at heart with a strong duty to help her comrades Sara is not only determine to find out the truth of why she was created, she along with Anna want to find their brothers and sister who are still sleeping in cryogenic’s chambers. She's a cop for the New Denmark police on Mars, who loves a good fight. Anna's past was a mystery unto herself. Until she met up with Sara, she thought that she was alone. 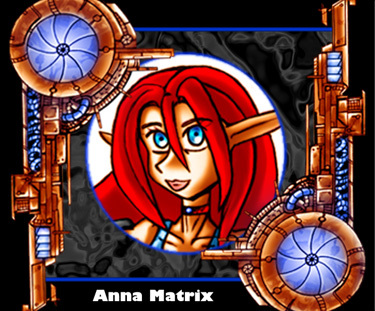 Now with a new propose Anna's feel a strong connection with Sara whose possibly be the key to opening her forgotten past. She will do anything to protect Sara, even to forsake her new life on Mars. Silent but deadly, she is the 2nd warrior to have awaken. Nakita looks at this new world as her own personal play room. She is the perfect assassin who enjoys her work and will not stop until the job is done. She is loyal to her creator and his family whose has an affinity for little furry animal. But when she finds out that Anna and Sara was a live Nakita wants to make their lives a living hell, a punishment for what they did to her in the past. 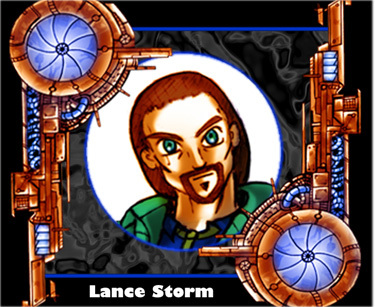 He is the main enforcer and head of special projects for C.T.C. He is also the younger brother of the founder of C.T.C. and will do anything to keep his older brother dream alive. 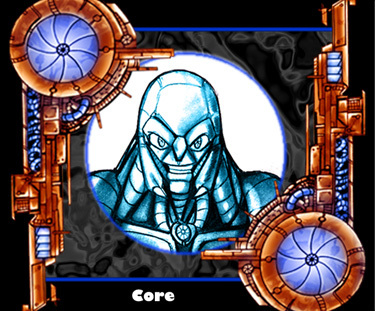 Core is the only person than his older brother who knows the true nature of the Living Metal project. 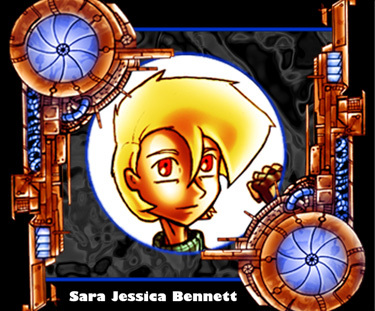 When the discovery of Sara and Nakita, Core’s only goal was to find the others who are still sleeping. But as he begins his plans he first wanted to test Sara and Nakita first powers by doing he started a deadly game of chess between the Governments of Earth and Mars. All he wanted was to have a free government, that’s why he formed the freedom fighter group called the "Neo-Amera, (New America) He will never stoop down to terrorist tactics but will used the system to his advantage for Mars. A C.T.C. 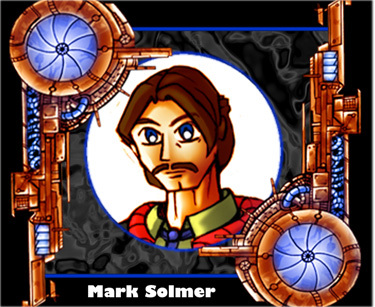 scientist, who's an undercover agent for the Neo-Amera, he believes in Mark and his cause. 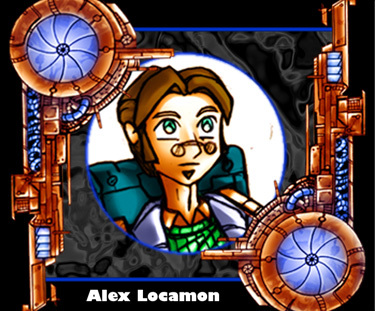 Alex is not a fighter but what he lacks in physical ability he make up in intelligent. Alex could not stand for anyone to suffer and tries to help them anyway possible even at the expense of his own health. A Bodyguard and friend to Alex, she is different from the others, because she is not with the Neo’s for their cause. Her only motivation is protecting Alex and she will die for him. 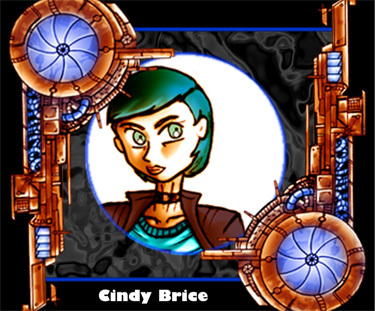 Cindy powerful in skill, but weak in charm, this prevented her to tell Alex how she truly feels for him. Not truly a believer of Mark’s cause. 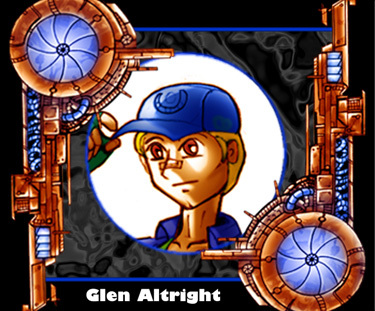 But Glen will not betray his friends at any cost. He can be a coward when he gets back into a corner. What he lacks in bravery Glen makes up with his knowledge of the city and the people who runs the systems. 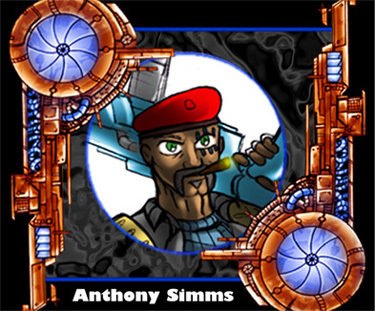 More of a father figure for Anna, he is the commander of the unit that Anna is in. Simms is quiet at times and straight to the point to his friends. He is very loyal, especially with Anna. It’s, because he is the only person Anna told about what she was. A friend of Anna and a fellow cop. 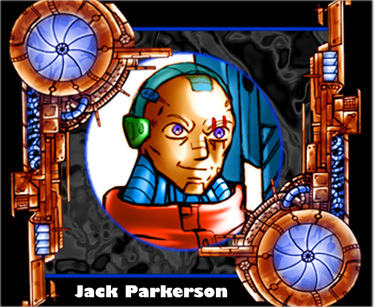 Jack is a cyber-junky always trying to upgrade his body to the newest technology. His biggest competition in the police force is Anna. She always seem to have the upperhand when they spar or testing strength. The only thing he can beat her in is Poker. A friend of Anna and a fellow cop, she is bright and perky, which annoyed Anna at times. However, if anyone gets on her bad side she can get very devilish. Stacy has only good intents for Anna as she sees her like a sister and tries to get Anna to be more social. 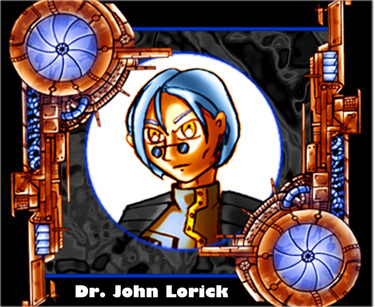 One of the top scientists in cybernetics on Mars and the head of the research labs for the C.T.C. 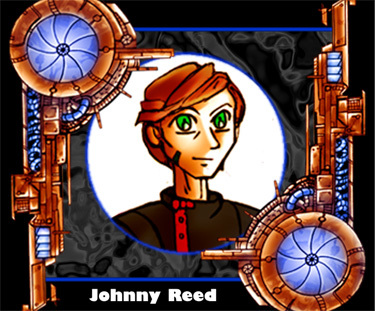 With arrogances to matches his intelligent John hides behind his own creation to take down his enemies, All he cares about is power and by taking control of the CTC, from Core and Max he thinks that he will get that power. He will use anybody to reach his goals, no matter whom it is. He is the Earth government Ambassador for Mars, a man who thinks that he is always right and will kill of his beliefs. An untrusting man to the unknown of Mars he has kept his power by bending the law to his will. J.T. Codale was the one who assigned Johnny to the case knowing that he was fresh out of the academy, a perfect pawn in his plans. Just out of the academy from Earth and his first assignment was suppose to be a baby-sit case. This turned into much more than he had expected. He is Anna's new partner and not sure if he can betray her. Because of the true reason for him being assigned to Mars was to inform her suspicious actions to his government. 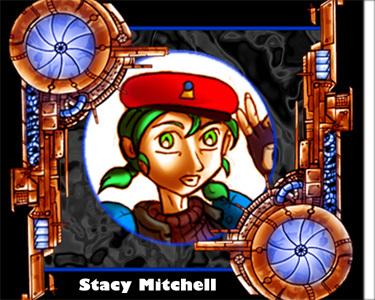 Head of Earth’s government security and caught in the middle of a power struggle between Ambassador Codale’s group and the CTC. His motto is that he judges on how you act not who you are and because of this is targeted by both side. Lance’s trust in Anna did come with a price and that trust will ever change him on the out look of Mars.